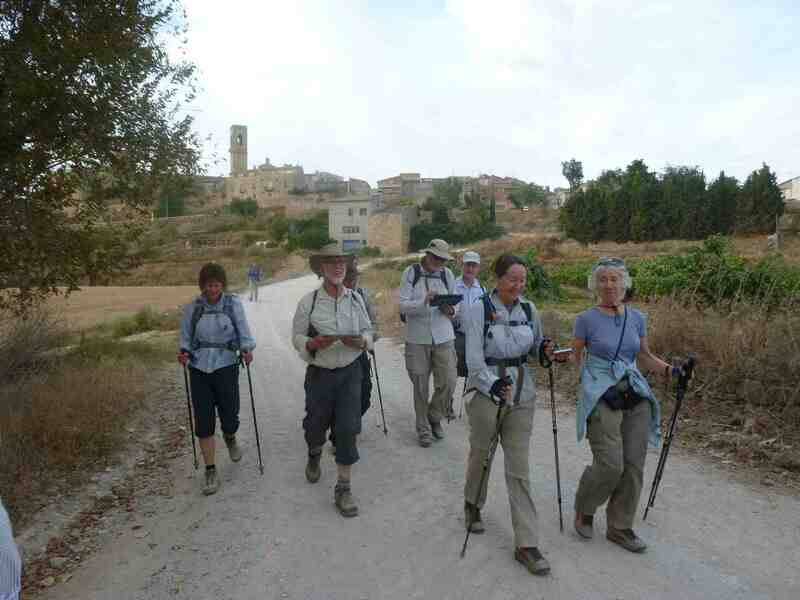 In the morning the bus took us back to Verdú to commence the next walking stage which was another short one of 16 km. We faced a problem however — how would we know the result of the Australian Football League Grand Final between Hawthorn and Fremantle? Fortunately both Vin Dillon and Fr Joe Taylor had purchased Spanish SIM cards for their iPads and we were able to listen to the Australian Broadcasting Corporation’s coverage of the match by live streaming as we walked along. We walked for just an hour to Tàrrega where we stopped to visit the Church of Santa Maria de l’Alba. It was exquisite example of an old church which has been refurbished beautifully. 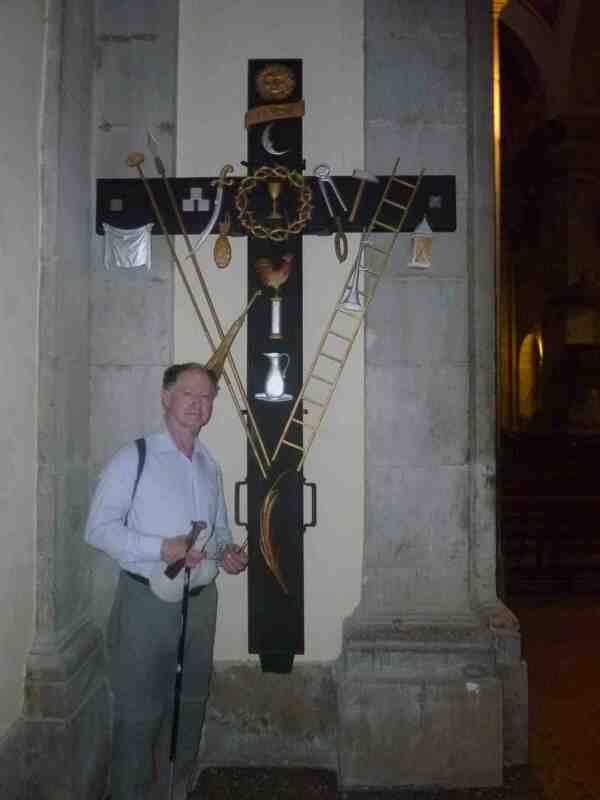 We stayed for an hour and then moved on to Cervera. 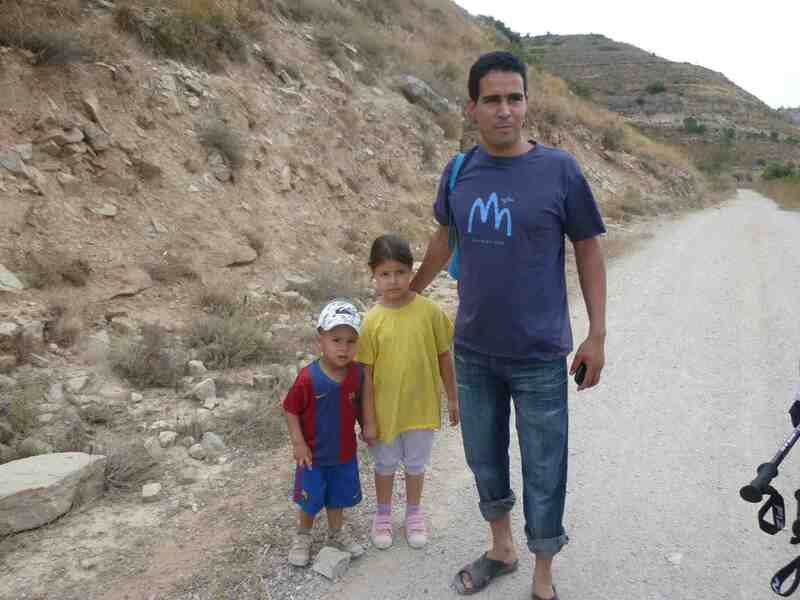 On the way we met a Muslim man, originally from Morocco, who was walking with his two children. 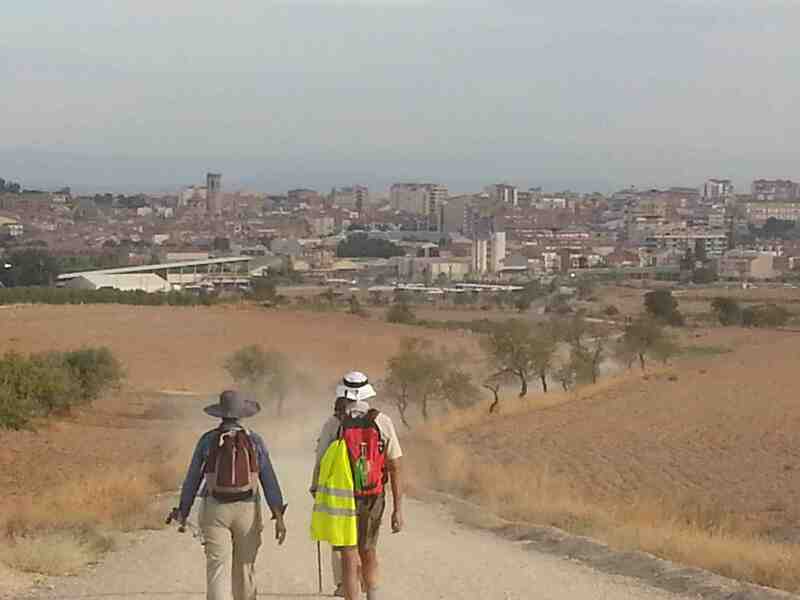 While today was short, the weather was humid and the hill up to Cervera was steep. Traces of the town’s 18th century splendour can still be seen in its buildings and old city walls. In the impressive main square stand several historic buildings dating back to the 17th century. 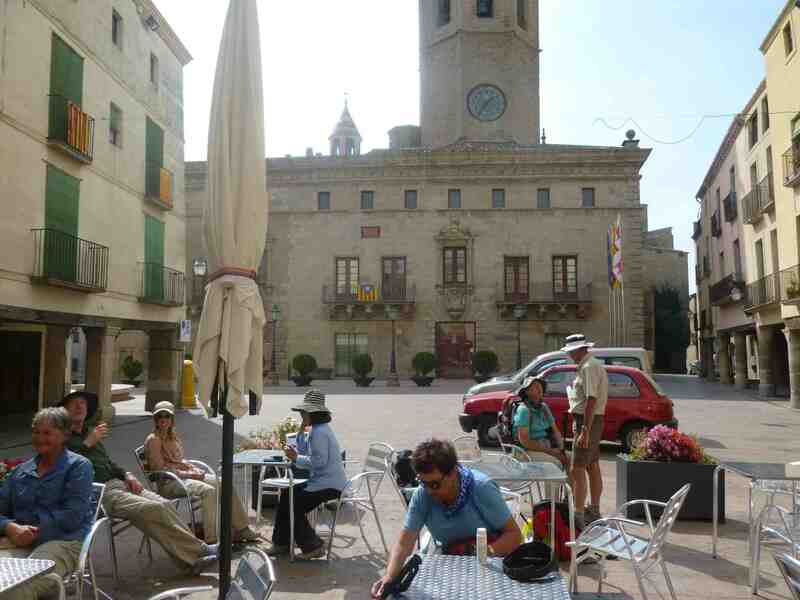 After we explored the town, we returned to Tárrega by bus. Prayer: Today we paid special attention to the colloquy as an important element in Ignatian spirituality. “The colloquy is made, properly speaking, as one friend speaks to another … communicating one’s affairs, and asking advice in them” . The colloquy is the conversation in which you can engage at any time during a prayer exercise although Ignatius places it at the end of each prayer exercise. This dialogue can be with Jesus, with God the Father, with the Holy Spirit, with Our Lady. It is made when you feel moved to make it — as a friend with a friend. you talk over what you need — seeking advice, inquiring how you could be more open, asking for enlightenment as to some particular issue and so on. Like any conversation, it is a dialogue. Monologues are not conversations; nor are they colloquies. The Colloquy is a two-way conversation. You may find that you have no trouble talking to Jesus or God as father but you may fail to talk with them. The Colloquy is a conversation and conversation is dialogical. The Colloquy is an instrument of discovery and freedom. When you talk out your experiences and pour out your thoughts, there is a release of the less-than-conscious areas of your heart. Revelation and discovery come both from within yourself and from the grace of God’s enlightenment. Often you begin the Colloquy in one fashion, then forget yourself in the conversation and discover yourself saying things and expressing deeper and unexpected desires. In the development of these desires and in their indication of growing spiritual freedom, you recognize the impulse of the Spirit. Jesus can bring a new perspective — His — to the issue that you are bringing to him. As you pray feelings and thoughts about life will surface through your prayer. As these feelings and heartfelt thoughts become more evident, express them to God. Talk to God about these feelings. Don’t be afraid to express how you really feel when you are at prayer. Sometimes it helps to imagine Jesus sitting across from you. Tell him what is on your mind and what is in your heart. Then be silent and imagine Jesus responding to you. Together you enter into conversation. Make your inner reactions available to Jesus. When you are unaware of deeper reactions being touched off in your prayer, God seems distant or impersonal. It is as if you are hiding something from the one you love. When you hide something from someone you love, you feel more distant from that person. You may do this to remain on safe territory. There is no significant growth in prayer unless God is allowed to influence your real interior reactions that are presently needing to surface. 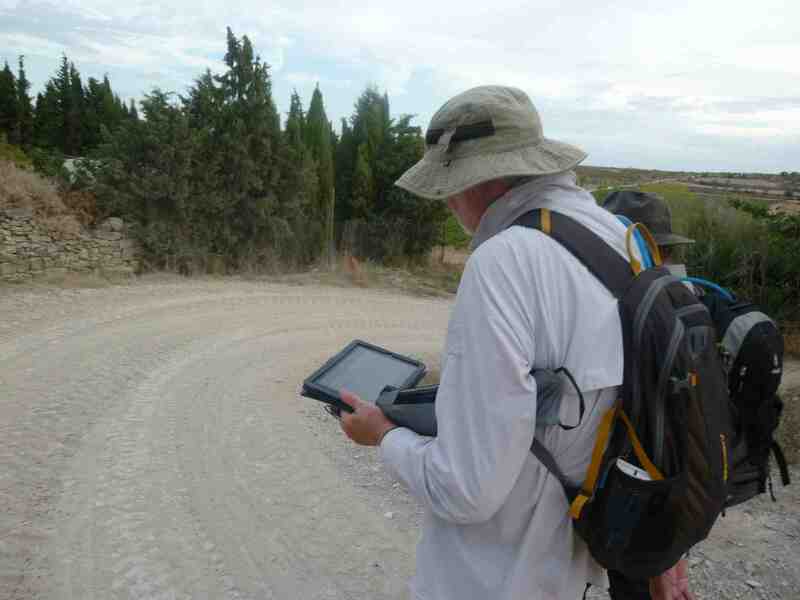 Imagine that the Risen Lord walking with you today along the dusty road…. Reflect on the fact that he loves and accepts you just as you are now… Take time out to sense his unconditional love for you as he looks at you lovingly and humbly. 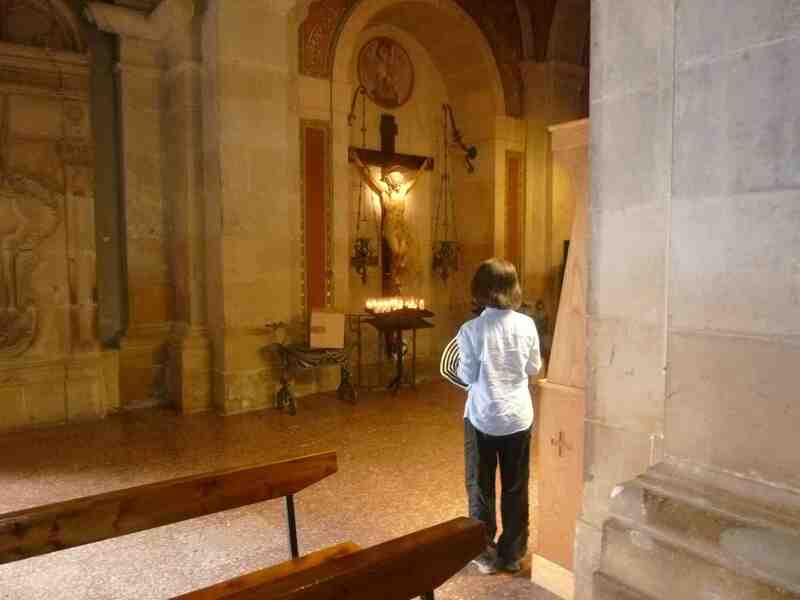 Speak to the Risen Lord… or just lovingly stay in silence and communicate with him beyond words. When they had finished eating, Jesus said to Simon Peter, “Simon son of John, do you love me more than these?” “Yes, Lord,” he said, “you know that I love you.” Jesus said, “Feed my lambs.” Again Jesus said, “Simon son of John, do you love me?” He answered, “Yes, Lord, you know that I love you.” Jesus said, “Take care of my sheep.” The third time he said to him, “Simon son of John, do you love me?” Peter was hurt because Jesus asked him the third time, “Do you love me?” He said, “Lord, you know all things; you know that I love you.” Jesus said, “Feed my sheep.